The Burtey Fen Collection Is a privately owned music hall in Pinchbeck, Lincolnshire, housing three pipe organs - a Compton cinema organ, a Wurlitzer cinema organ and a classical pipe organ. 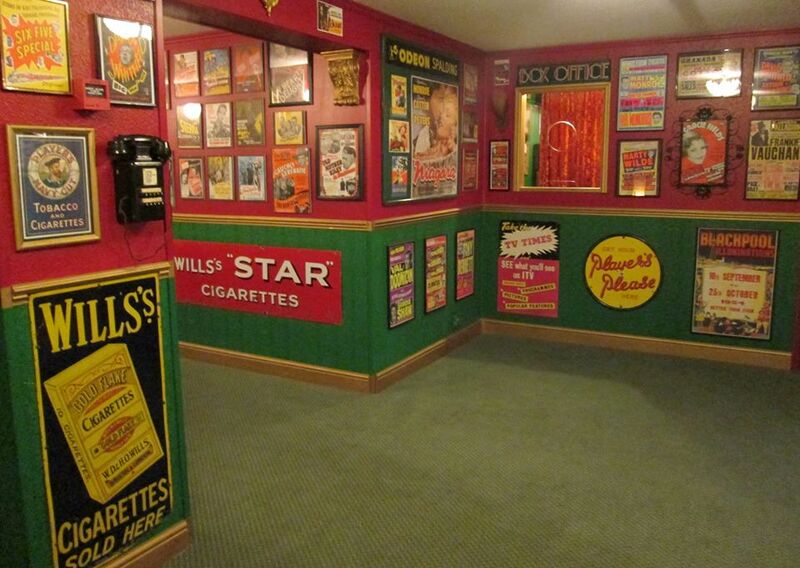 The venue also features a vast collection of original memorabilia in tribute to the stars of entertainment 1940-1965. 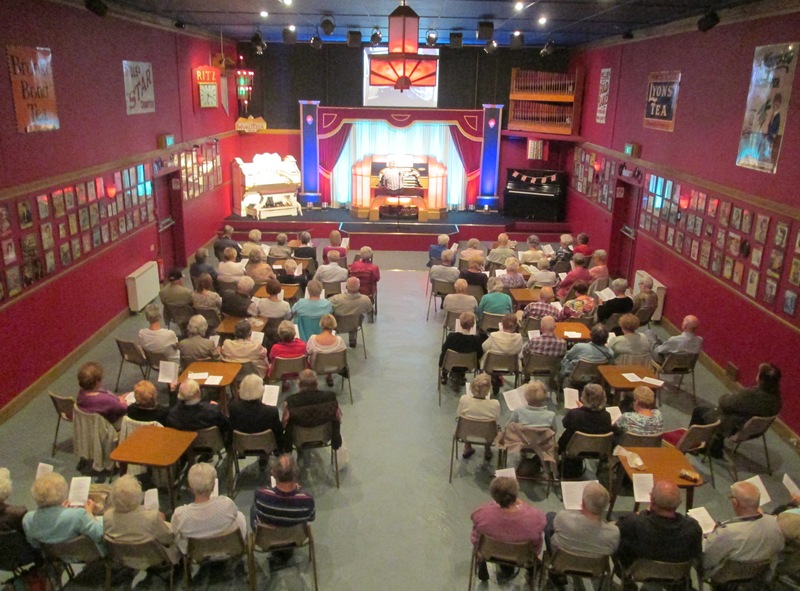 A small 'fairground organ' made by the late Denis Matthews of the 'M Ranch' has been re-housed on the balcony. Organ concerts by top names of the organ world are a monthly feature. Guest organists include Nigel Ogden, Phil Kelsall, Robert Wolfe, Andrew Nix and Nicholas Martin. 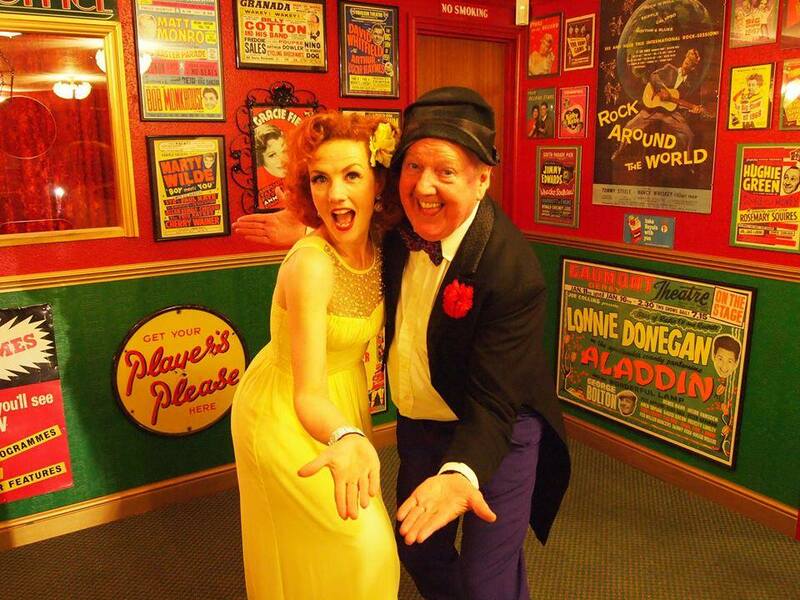 Private concerts can be arranged for group visits and coach parties - but these must be pre-booked by arrangement. Why not organise an outing for your group or society. Or arrange a surprise mystery or tour for your members! Invite all your friends to celebrate a birthday or anniversary here in style ! Above - The hall set out with tables and chairs for a coach party enjoying a sing-along. Click here to find out more information about the organs, art deco lighting, film posters and enable advertising signs. The Compton and Wurlitzer cinema organs and the four manual classical organ are available for private practice sessions - A unique facility for the amateur or professional. See here for more information. Occasionally we host other shows. Rosemary Squires, Anita Harris, Andy Eastwood and Ronnie Ronalde have all appeared at the Burtey Fen Collection.